Eastern Sydney Harbour, a Western City and a place called 'GPOP'. Sydney should become three major cities and Parliament could be moved to Parramatta as the greater city's population expands over the coming decades, the head of the Greater Sydney Commission, Lucy Turnbull, says. Turnbull on Wednesday argued three cities -- Eastern Sydney Harbour, Central Parramatta River City and a Western City around the new airport at Badgerys Creek -- would be part of a "reimagining" of greater Sydney, with the population expected to grow to eight million by 2056. Such an expansion could make it "irrefutably logical" to move Parliament from the city's east to a new central city within seven years and, if properly planned, the three cities would provide a short commute to residents' preferred school or job, the former lord mayor said. "So that people are 30 minutes from either work, school, university or whatever they like to get up to in their recreational time, so that the 30-minute city is achievable across a much wider part of metropolitan Sydney," Turnbull said. "This makes our city more liveable, productive and sustainable for everyone." A core part of the commission's vision is the identification of the area to be known as 'GPOP', drawn from its name Greater Parramatta and the Olympic Peninsula. "Not just a snappy name, GPOP is a shared vision for the growth of this area as an additional 40,000 people call Parramatta home over the next five years," Turnbull said. "It's time for a change of perspective and a change in the way we all imagine Greater Sydney. Greater Sydney needs a true city at its centre, close to its heart. She also said Parliament could be moved further west. "What could be more logical than having our government right in the heart of the city where most of the population is based?" she said. "A new Parliament in the Central City of Parramatta in the mid-2020s could be a game changer for Sydney." NSW Premier Mike Baird on Thursday appeared to reject the idea of moving Parliament, with a spokesman for Baird telling News Corp "there are no plans to move Parliament from Macquarie Street". 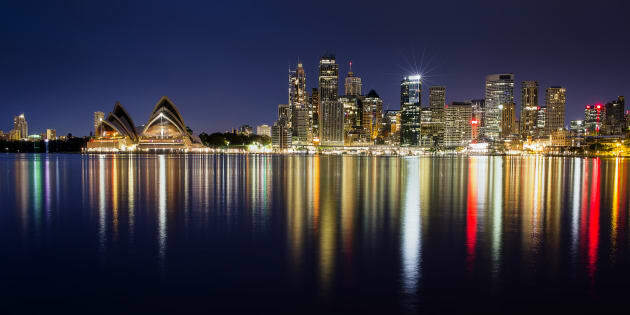 Sydney University Professor of Urban and Environmental Geography, Phil McManus, told the Huffington Post Australia the expansion is already under way. "Part of it is happening already," he said. "In terms of the westward expansion of Sydney... it is formalising what is already occurring in practice. The geographic centre of Sydney has been moving west, south west for some time. "Asking people to reimagine the city in different ways, that's somewhat new, but in terms of physical development it's reinforcing what's already happening in practice." Lucy Turnbull, Chief Commissioner of the Greater Sydney Commission, has argued for three city hubs to cope with a growing population. He said an argument could be made for moving the Parliament out of Sydney, and even further west than Parramatta. "The idea of moving Parliament would have some physical impacts to be sure, but it would be psychological and symbolic," he said. The NSW Government earlier this year released Department of Planning figures showing Sydney's population was growing faster than had previously been projected.